This 100% pure wildflower seed collection of Shirley Poppies will make your yard come to life with shades of red, pink, fuchsia, and white. Annual. 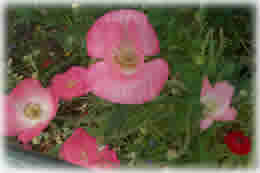 Shirley Poppy blooms in almost any climate.